My Blog is 1 Year Old.... What now? I was hoping to do this post before I went away so that it would be up while I was on holiday, sadly that wasn’t possible with the mad rush that I had with Glasgow Summer Sessions, then having 2 weeks away in Belgium. Super last minute packing (hello 4am packing and 7 am train)! So its only really now that I’m getting back in to the full swing of things. So what is this post? It’s basically a massive thank you to all my readers. Most of you I doubt have been with my for all my 360 posts. But I would like to thank all of you that are reading this now! This blog was originally a place for me to post and put my energy into whilst taking my mind of being unable to get full time employment after University. But ever since I started the blog it was a great place for me to express myself and grow in confidence, since the early days of me and my sister nervously posting about outfits or reviews. I’ve managed to grow the blog that I have today I’m super proud of what I have managed to achieve, the people I’ve worked with and the experiences I’ve had. None of this would have been possible without the support of you guys and the fantastic blogging community. I didn’t ever really see myself managing to writing blog posts as much as I have, but looking back it all feels like a great achievement. 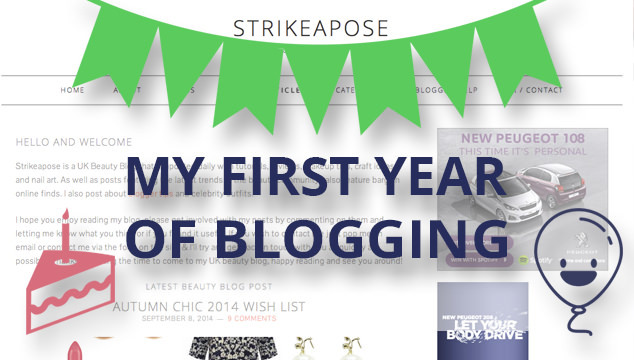 I would love to share some of the major milestones that I have had this past year and a bit. As well as posts I’ve loved I would love for you to take a minute to let me know which post has been your favourite and what you would like to see more of on the blog. I will take in all your feedback while building some new posts and content for the future. Voodoo Vixen Review – Loved the items of clothes and having a great shoot with Rose. Gaining 12,500 followers on Twitter. What I plan for the next year of blogging? Grow my YouTube – I’m at a point where I would love to get more involved on YouTube. Just getting a bit more confidence to do so. Restyle the blog a bit – They are a few points I’m not happy with on the blog and would love to work them out. Branding – Need to think about this more, I would love a clear look for the blog and videos. More of a community. I would love to find a way to get discussions going with everyone and building upon that a bit more. Tecky Tuesday’s was a part of the blog I loved doing, but things got in the way. I will push to do it more often! So that you guys can check out some posts that you might not have seen I have enabled a random post button at the bottom of the blog. Let me know if you find anything you liked! Once again thanks for the fantastic support over the past year and enjoy my blog’s cake day! Let me know if you have any ideas for my blog or my posts and have a fantastic day!